Google is the largest and most popularly used search engine on the Internet. When consumers want to find information for specific products and services, they launch a search on Google. In fact, Google has grown so big, it has become a verb. How many times have you told someone to “Google it”? Everyone knows it. Businesses sign up for Google’s services to get the best results for their online marketing efforts. Marketers will focus their strategies to conform to Google’s ever-changing algorithm. Thus, it can be a very competitive marketplace. You will need a competitive advantage and this is where having Google reviews come in. If you’ve heard about Google reviews, we’re here to tell you more about it. We will tell you everything you need to know about Google reviews: why your business needs it and how to get them. Are you worried about getting bad reviews? Don’t worry! We will show you how to deal with them. Just read on! Google Review is a feature that allows consumers to share their experiences with a product or service by writing a review on a business’ Google page or search map listing. Why did Google decide to introduce a review feature? The search engine giant has always been big on User Experience (UX). Google wants to provide its users with the best options to address their wants, needs, and concerns. Reviews are powerful influencers. They have the same effect as client/ customer testimonies. The reason reviews are so powerful is that they are organic. They are perceived as honest and sincere assessments of a business’ product and services. Unlike paid endorsements, the customer has nothing to gain by posting a review. That is why product views are part of a customer’s research process. They trust consumer reviews. When you look for a specific item at Amazon, it is standard procedure to go through the reviews of the products shown on the search results page. You tend to gravitate toward the items with the highest number of 5-star reviews and ignore those with low review ratings. Strong Google reviews will have the same effect on your business. Let us assume you own a restaurant that serves authentic Thai food in the area of Cherry Creek, Denver, Colorado. Like other smart business owners in the area, you had your restaurant listed in Google My Business and Google Maps. Over the years, your restaurant has catered to many customers. You may not know it, but some of your customers may have given your restaurant a review. When someone who is interested in dining at an authentic Thai restaurant in the Cherry Creek area, he/she would patronize the establishment with the highest ratings and best reviews. If your restaurant is fortunate enough to get the best reviews and highest ratings, it should attract the most number of diners in your area. Why Are Google Reviews Important For Your Business? In the previous section, we showed you how Google Reviews benefit the customer and how favorable ones can translate to better business for you. Now we will discuss the benefits of having Google Reviews for your business. Specifically, why you should encourage more customers to post reviews about their experience with your establishment. Let us go back to our earlier example. Put yourself in the position of the customer. Which of these reviews would have the most powerful influence on your decision? “Best Pla Rad Prik I have ever tried! Better than the one I had in Thailand a year ago! The Pad Thai is to die for!” – 5 stars. “The Gaeng Mussaman was too rich. The Pad Kra Prao made the visit worthwhile.” – 3 stars. “Don’t bother! You get a better deal with the microwave stuff they sell in the supermarket.” – 1 star. Definitely, you would go for the restaurant with the 5-star review. You may decide to dig in deeper and compare other reviews. The bottom line is, the product reviews got your restaurant noticed. The high ratings and positive reviews immediately increased your visibility. Aside from enhanced visibility, what are the other benefits of having Google Reviews for your business? We touched on this benefit earlier in this article. Customer reviews are perceived as honest and sincere. In ways, customer reviews are similar to word-of-mouth advertising. If you ask a friend for his/her recommendation for the best Thai restaurant in Cherry Creek, you could take him/her up on the suggestion. In fact, 84% of consumers trust reviews as they would the opinions of their friends. In the case of Google reviews, you can read through a larger volume of recommendations and opinions. And of course, Google is a trusted source of information. The search engine has always placed UX front and center whenever it decides to change its ranking algorithm. Therefore, by generating consistently good Google reviews, you can effectively improve the trust and credibility standing of your business. The Internet has created a more discerning generation of consumers. They have more access to information and many will go to great lengths to justify their decision to choose one brand over another. Again, going back to our example, in the event that there are other 5-star rated Thai restaurants in the area, the users will use the posted comments and factors such as location, parking, and seating availability as deciding factors. However, the reviews and ratings have already pushed your restaurant ahead of the rest of the competition. It has made the decision-making process easier for them and more advantageous for you. As we mentioned earlier, it is natural for consumers to give more focus on products and services that have been thoroughly reviewed. The more reviews you get, the greater the probability of potential customers searching for your business. Positive and glowing reviews are indicative of how well your business is managed as well as the quality of its products and services. They will help your business stand out from the rest of the competitors and lend support to your brand-building strategy. We are assuming that you have already listed your business in a search engine directory. Definitely, Google My Business should be on the top of your list. If you want to learn more about search directory listings, you can read our article, “Why Should Retail Locations Be Listed In Search Engines”. Image-based content will attract attention faster than text-based content. This is why it is important that your Google page looks good and visually appealing. Use high-resolution pictures of your products and retail outlet. If you have the budget for it, hire a professional photographer to take the pictures. It is also important to make sure the information posted on your Google page is updated and complete. Always check the details on your business address, contact numbers, and email address. If you want more Google Reviews, then ask your customers to write them. This might place your business in a dichotomous situation because not all reviews will be positive. You should expect to receive negative reviews. Why? For the reason that people’s tastes and preferences are unique and individual, it is not realistic to expect that 100% of reviews will be positive despite your best efforts. According to a survey conducted by Street Fight, negative experiences result in more reviews than positive experiences. In fact, 95% of people who had a bad experience with a business shared it with others compared to only 87% of consumers. Given these statistical data, would it still be wise to invite your customers to write reviews? Yes! 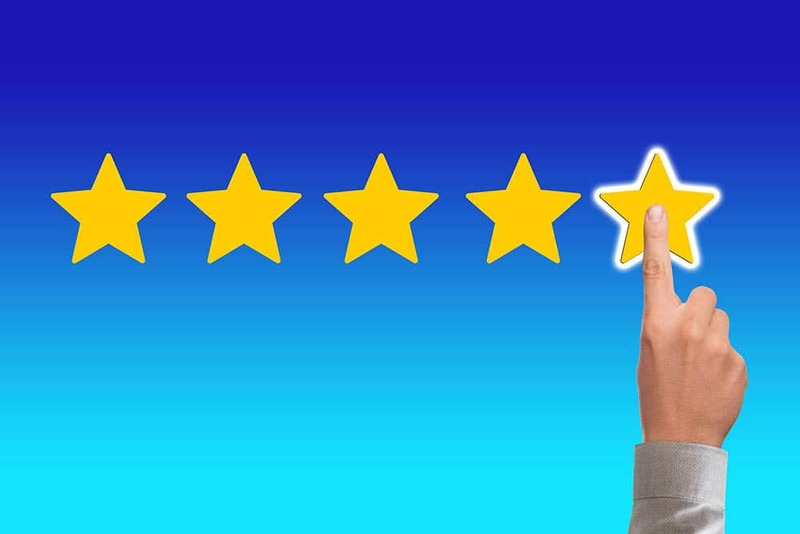 Encouraging your customers to write reviews shows that you are genuinely concerned about their happiness, satisfaction, and overall experience with your business. The best way to extend your invitation is to simply tell them what the Google Review is for. You want feedback from your customers so you can find ways to improve your products and services. By inviting customers to write reviews, you are creating a personality for your business. It adds a welcome degree of humanity to an entity that consumers know was established for the purpose of earning a profit. As the popular saying goes, “Any review is a good review”. Even a negative review is a positive development for your business. It means someone took the time to express his/her dissatisfaction or poor experience with your establishment. The key is how to engage customers who have posted negative reviews. First, don’t panic. Breathe. Relax. A negative review is not the end of the world. Look into the review and see if it has merit. If possible, run a Google search or due diligence work on the person who wrote the review. Check your customer records. There is always the possibility of getting a bogus review. Once you have verified the review, tell the customer that you are thankful for their review; specifically, for taking the time to write and post it on your Google page. If the complaint is legitimate, apologize and request that you be allowed to give private messages or to respond via email. Inform the customer that your purpose is to present a resolution to the issue. Of course, you should likewise respond to positive reviews. State your appreciation for the review and give them real assurances that you will continue to improve your offerings and services. Social media is a great way to reach out and connect to a wide audience. People spend more time on social media than any other website. Make sure you promote your Google Page in your social media business and personal pages. If you have a website, include the button to your Google Page and encourage your site visitors to write a Google Review. Include a Call-to-Action which states the purpose of the review. Google reviews are a great way to enhance your online presence. Likewise, it can be an effective tool for building long-term relationships with your customers that are based on trust, transparency, and a commitment to provide excellent user experience. If you have a brick-and-mortar store, use it to encourage your customers to write reviews. Entice them with discounts or special promos for every review they post on your Google Page. Make sure they can present proof of the review. Does it matter if the review is favorable or not? No. If the review posted is negative, getting together face-to-face with your customer is an ideal situation for you to address the problem directly. If you’re interested in getting more Google reviews for your business, leave it to us! We have helped our clients get reviews for their business. At the same time, we have expertly managed, moderated, and turned around negative reviews. Give us a call or drop an email. We will get back to you right away!